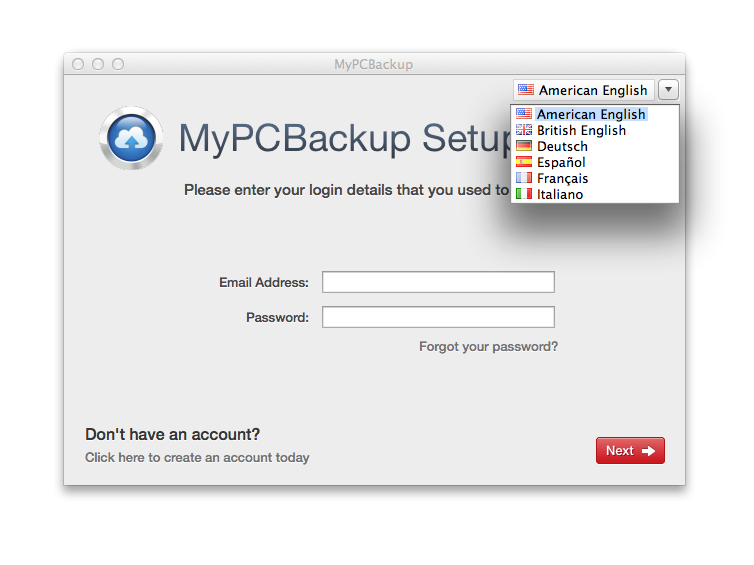 MyPC Backup is very pleased to announce the release of our brand new Mac update (v2.3.0.20) which is available to both new and existing users of our PC backup service. This update will provide our many users with a number of improvements and enhancements to optimize the functionality, responsiveness, and performance of their desktop control panel. One which we are particularly excited about is the new Resumable Uploads feature. Its function is simple: let’s say you’re uploading a 1GB file, you’re currently at 50%—but your internet connection suddenly dies. Nightmare! But not anymore with the Resumable Uploads feature. When you reconnect, the file will continue uploading from the latest point prior to the interruption, so you won’t have to start over again. A language selector has also been added, which will allow users to instantly toggle between a variety such as American/British English, German, French, Italian & Spanish. New users can instantly benefit from this new PC backup update by simply signing up for a FREE account and installing our software to their Mac computer or notebook. Existing users’ software will be automatically updated—so there’s no need to do anything extra! From the MyPC Backup team, we hope you all will enjoy our best PC backup yet!